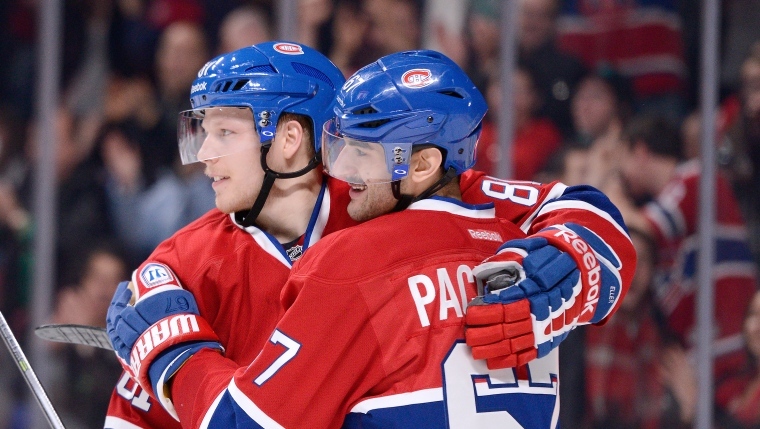 For reasons largely unknown, Lars Eller is my favourite Hab, but I have a lot of reasons why Max Pacioretty is an extremely close second, and it has a lot to do with how and when I became a Habs fan. In the spring of 2011, I was a sophomore at a tiny liberal arts college just outside Boston, and more importantly for this story, I was a fairly new hockey fan. I’m a lover of stories, and I was lured into hockey through the stories told by two of my friends: one the photographer for the ECHL Utah Grizzlies, and the other a Montrealer. Both were huge Montreal Canadiens fans. Compared to many people, I haven’t been a serious Habs fan very long. In fact, compared to a lot of people, I haven’t been a hockey fan very long. I missed out on Saku Koivu, Patrick Roy and Teemu Selanne, Mario Lemieux and Wayne Gretzky. I only know Jaromir Jagr as an elder-statesman, and Martin Brodeur as a really bad goalie. Brian Gionta was “my captain” because he happened to be the captain of the team I fell in love with, not because I felt strongly one way or the other about him specifically. But it’s different with the current core because these are the guys I “grew up” watching. My friend swears she told me stories about Lars Eller and Max Pacioretty when they were rookies, but I don’t remember that she did because at the time they were just two more unfamiliar names among twenty one others (though I do remember her frustration when Halak took the starting position from Price and the drama that ensued). However, I was enough of a Habs fan that, like every other Habs fan, I will always remember that fateful night at the Bell Centre when the Boston Bruins were in town. I didn’t see Zdeno Chara’s hit on Max Pacioretty until years later, but I sure heard about it. I’m from New York City, and I’m a Yankees fan, so hating Boston teams is in my blood, but even if it hadn’t been, I would have hated the Bruins after that. I remember hearing that Pacioretty said he didn’t want the hit to define him or his career, and that he wanted to come back better than ever, but after that I didn’t follow too closely. I was pleased if I heard the Habs had won, or casually disappointed if they lost, but I wasn’t particularly attached. That all changed when the Habs drafted Alex Galchenyuk in the summer of 2012, and my friend began a second, much more vigorous campaign to make me a proper Habs fan. Thankfully, it was much more successful. 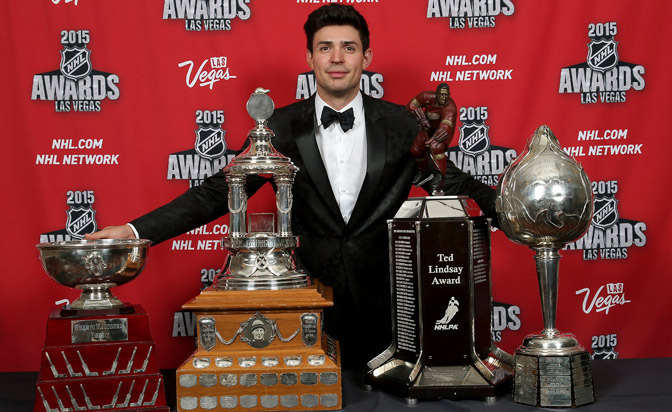 I heard stories about Subban’s sizzle, Pacioretty’s, by then well established and miraculous ability to heal, the antics of the Gallys (Brendan Gallagher and Alex Galchenyuk), the brick wall that is Carey Price, and so many stories about Brandon Prust. I was completely doomed. By the time I started following the Habs for real, Pacioretty was establishing himself as an elite goal-scorer, and had been named to Team USA for the Sochi Olympics. He’d already proved that the hit didn’t define his career, and that he was a better player, and despite the 39 goals he scored in 2013-14, he wasn’t even remotely finished. The watchword for the next season was “transition”, and it was a time of transition for me as well as for the Habs. In the summer, the Canadiens let Gionta walk, traded Josh Gorges, and made it clear that they expected Pacioretty and Subban to earn the captaincy of a younger team. I moved to Toronto for my masters, and realized I loved writing about hockey. Then Ken Dryden literally passed the torch to Carey Price to start the year, and I got to witness my first full season as a Habs fan. And what a season it was: 50 wins; 110 points, Price breaking records left, right, and centre, and cleaning up at the awards show; Subban being nominated for another Norris; Pacioretty putting up 67 points, and elevating his level of play even further by becoming an elite all-around player. Regardless of the other issues the Habs had, they were never because Subban, Price and Pacioretty hadn’t stepped up. 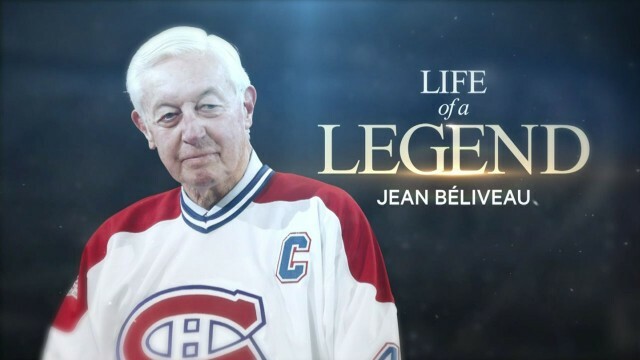 The loss of Jean Béliveau served as a more symbolic and significant passing of the torch to a new generation, and clearly had just as profound effect on the Habs as it did on Habs fans. The effect was most noticeable on Pacioretty and Subban, who have both made it clear that they are striving to follow in his footsteps as hockey players, and more importantly, as people, to ensure that Béliveau’s legacy will continue through their actions on and off the ice. At the beginning of last year, I could have seen either Pacioretty or Subban becoming captain. By the time this training camp rolled around, I was fairly sure it would go to Pacioretty. Just as Bergevin said about Jarred Tinordi last year with Greg Pateryn and Nathan Beaulieu making the NHL, Subban did absolutely nothing to lose the captaincy. He continued to grow and mature as a leader, and proved that he could be the captain of this or any other NHL team, and they’d be incredibly lucky to have him. Pacioretty was simply on a different level. Every interview he’s given and everything he’s done in the past two years shows just how far he’s come, and how much he now understands what it means to be a leader on this team. As for me, I finished my masters, moved to Montreal, and, as cheesy as it sounds, achieved one by writing about the Canadiens. 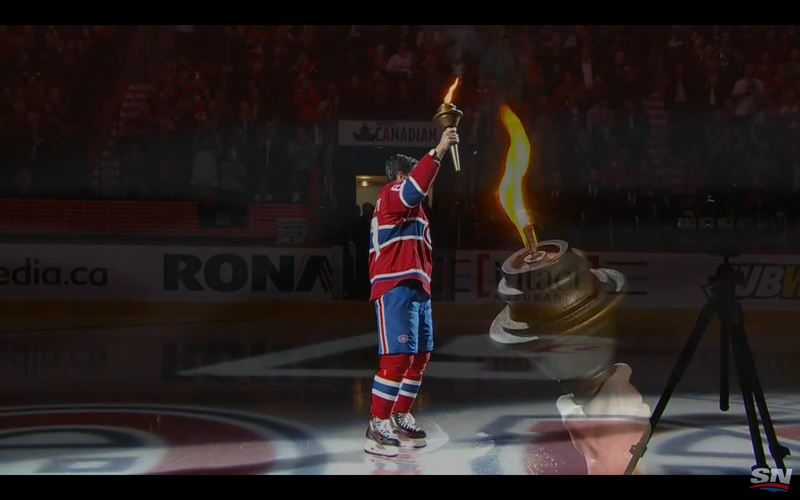 And as for Max Pacioretty, he raised the torch in the 2015 home opener as the twenty-ninth captain of our Montreal Canadiens, and I’m willing to bet he’s still not remotely finished. Originally published over at EOTP (in a more polished version).